Develop a Network of solutions providers to effectively & efficiently address ten of the United Nation's (UN) 2030 Agenda for Sustainable Development Goals (SDGs). The Network is informed by current & former Climate CoLab projects & practices & external projects to address local & global climate challenges with regard to energy, water, food, & health. Synergy is achieved through cooperative agreements & sharing of ideas, technologies, & support systems to resolve climate issues & strengthen community resilience. The Network will be managed by seasoned environment & social justice workers & leaders employed by relevant organizations to bring projects to fruition. A Board of Directors will be comprised of leaders in climate change policy development & real-world work delivering relevant solutions. 1000s of organizations advocate for women & youth. The Network seeks to align all or many to achieve SDGs because the future belongs to the youth. Coupling youth with earth's systemic offerings will realize many achievements. Create entrepreneurial environment to develop apps, software & technology tools to support climate resiliency projects (which includes farming, food delivery systems, water protection & enhancement, energy systems development, and health practices improvement tools). Cross-pollinate ideas of both primary activities (above) to inform & provide support for collective project development. The Network proposes that women & youth are integral to advancing the UN's 2030 SDGs. Youth have the energy, creative intelligence and motivation required to bring about substantive changes in order to meet the SDGs. Guided by professionals with track records in delivering climate change solutions, youth will experience multiple opportunities to resolve issues related to ten identified SDGs the Network proposes to address. 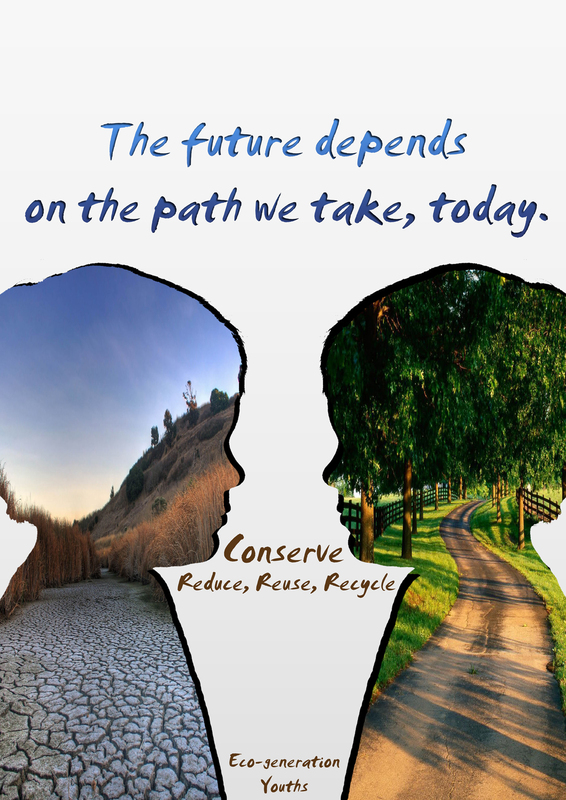 Contributions by youth can create shifts in attitudes and behaviors for generations to come. Per an international census taken in 2016, there were 7,323,187,457 people living on earth and 46.1% of the world's population were between the ages 0-24 according to the World Demographics Profile 2017. The gender ratio (estimated in 2016) was 1.015 male(s)/female(s). Should the Network be realized, this means that there could literally be nearly a billion women & youth collaborating on solutions for climate and social justice issues through the Network and it's affiliates. That bodes well for collective intelligence. Deforestation must also be addressed and youth can impact policy by organizing campaigns to address gross damages done by cutting down forests in regions which are key to managing carbon, food production, and water quality. "Projects that support governance and market reforms that reduce the illegal use of forest resources and benefit poor people," is a program the Department for International Development (DFID) is championing: "Call for Concept Notes: Forest Governance, Markets and Climate (FGMC) Programme" https://www2.fundsforngos.org/democracy-and-good-governance/dfid-call-for-concept-notes-forest-governance-markets-and-climate-fgmc-programme/ - more of this type of financial incentive can be lobbied for by youth in affected regions with guidance from supporting organizations. This will expose youth to critical thinking, collaborative work, and how markets operate. 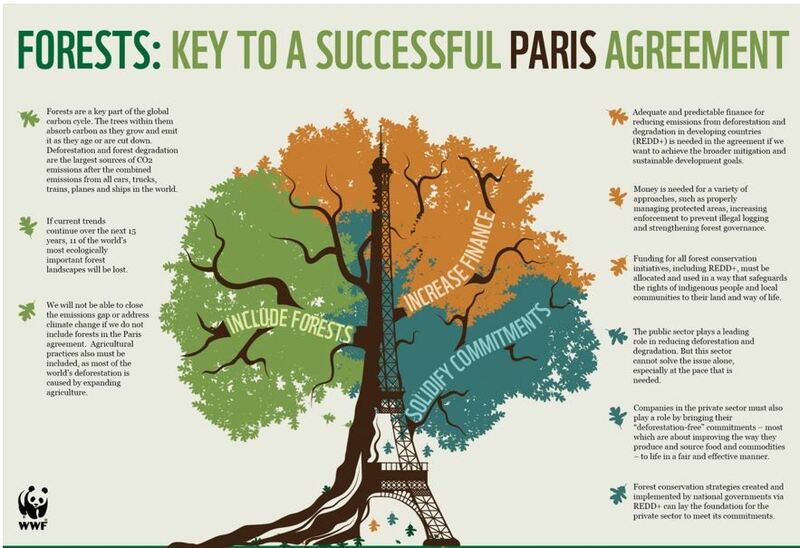 With successful implementation of such incentives, more climate benefits and social justice can occur. The development and use of existing technology (software, apps, IoT devices, DIY energy plans and micro-grid solutions, and "natural" water purification systems) comprises the second prong of the two pronged approach the Network proposes. Youth are already familiar with the use of internet resources and applications. Some youth have already learned to create applications, build websites and use internet-based tools for multiple activities. Engaging youth in developing solutions to fulfill SDGs with technology can result in rapid dissemination of information and tools that youth and others can use. To fulfill the SDGs, the Network proposes drawing from several existing and former CoLab proposals as well as external activities already in action around the world. Organize women & youth through groups such as Youth4Climate, Mesa Sostenible, uRADMonitor, Hackaday events, and Food Heroes as well as individuals working in relevant fields such as permaculture and regenerative professionals Geoff Lawton http://www.geofflawtononline.com/ and Sepp Holzer http://www.seppholzer.at/cms/index.php?id=69; software developer Danilo da Rosa, energy, water, food and health solutions leader Manoj Bhargava, and health professionals such as Suhela Kapoor. Develop cross-pollination platform at the online Network. Mobilize women & youth "brigades" through operational models such as Fleet Farming uses. Teach women & youth the art of collaboration. Teach women & youth to grow food producing trees, shrubs and perennial plants in their community. Mobilize women & youth to establish more urban and rural food forests. Empower women & youth to develop relevant software and applications. Empower women & youth to develop solutions for water and energy challenges. Engage local educational institutions, businesses, government representatives, relevant community groups and organizations in supporting activities of action brigades. (Donations of trees, planting supplies and tools, empty lots, and volunteers, etc.). Enable women & youth to partner with relevant organizations and businesses for internships and on-the-job training opportunities to further goals of the Network. 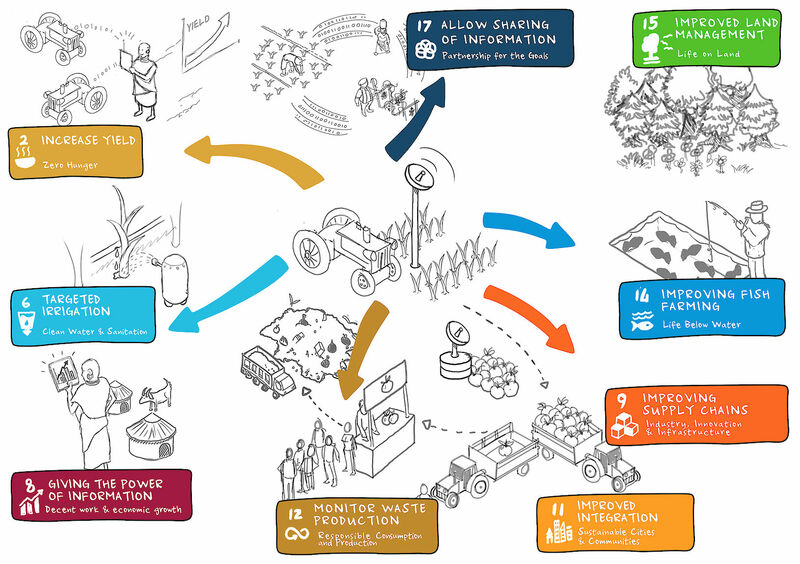 Putting food forests, technology, women and youth together to create solutions to food and water scarcity, health improvements, knowledge sharing, energy solutions, and collaborative partnerships is a sensible and cost-effective way to bring about dramatic changes in societal practices. With guidance from those whose projects in these areas are already impacting climate and social issues, women & youth can become a powerful force in addressing the UN's SDGs. To that end, this proposal incorporates practices that conserves resources, banks resources, and increase opportunities to create more resources. 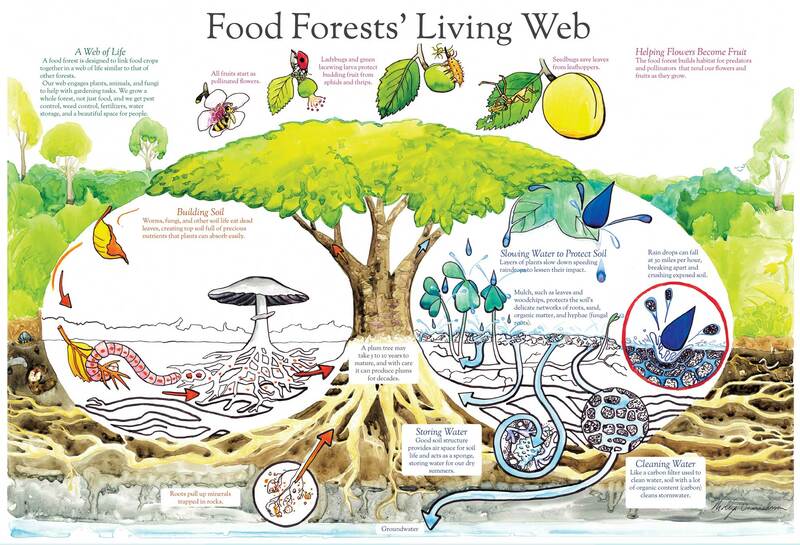 The purpose of using permaculture and regenerative design and practices is because no chemical or toxic applications are required, water is managed in ways that improve it's availability for crops, crops are chosen for their longevity and regional successes, and energy consumption is minimized through natural design and passive technologies. High quality food (nutrient dense) is produced through fewer inputs than "conventional" farming requires. Less work is required of permaculture and regenerative farmers, providing them with more time to pursue other productive activities and to achieve higher quality relaxation time. In permaculture and regenerative agriculture, the biota does most of the work. Humans simply create the environment for biota and support the food production system using products the biota creates. True, in some cases, there are more inputs required of people to create a dynamic food forest or urban farm. But, once the natural system is established and technological tools deployed, permaculture and regenerative farmers can dedicate more time to other life enhancing pursuits. By engaging a large cross section of society - business leaders, women, youth, mentors and organizations - the outcomes provide benefits that each person will be impacted by. Increased numbers of stakeholders ensures that the work performed will come from agreements to move forward in addressing and finding solutions for climate and social issues. Trade-offs are minimized by collective community support and the innovations and entrepreneurial opportunities developed through community efforts. Synergies are maximized by involving so many people who will all gain from the experience. This is decent work and economic growth that leads to zero hunger while sustaining good health and well-being through embracing & supporting quality education & gender equality, which creates a comprehensive environment to produce clean water and functional natural sanitation systems using affordable and clean energy technology through partnerships for the goals resulting in sustainable cities and communities and significant climate actions. Operating under the umbrella of the UN's Division for Sustainable Development and the UN's Environment Programme, actions are proposed to be taken by civil society, private sector, and local government representatives (affiliates). Youth, youth organizations, women, educators, non-profit organizations, non-government organizations, businesses with vested interests in climate security and resilience, and local agency representatives are expected to take an active role in pursuing the Network's goals. With limiting physical conditions, the author of this proposal can offer to participate in developing the project through research, collaborative dialog, grantsmanship, documentation, and in assessing the project's progress. Pilot projects could begin in several countries where people are already motivated & are already taking action. In Salto, Uruguay a group of ecological practitioners are teaching youth in schools about sustainable farming, producing radio shows discussing ecological practices & ethics, & are working collaboratively on transforming gardens into ecological designs. Reference 7 Oct 2017 meeting minutes & radio shows. Organizations such as this demonstrate the effectiveness of grass-roots solutions delivery. In Mexico City, the group, Youth4Climate, proposes taking action "to combat climate change & its effects" based on the "New Urban Agenda approved in October last year in the City of Quito, Ecuador." This project has the potential to deliver & implement solutions to many communities in need. In El Tambo, Nicaragua, Mesa Sostenible has broken ground on developing a unique educational farm & nutritional food production facility. Since the tropical storm Nate destroyed much of the community, Mesa Sostenible is taking steps to create a safe haven for refugees during climate crisis. Actions such as this will strengthen community resilience. In China, Food Heroes applies "storytelling and gamification elements to curriculum" as a "modern approach to education & behavior change." This method of information delivery is a powerful tool that has the potential to affect changes in attitudes & behavior on a grand scale. In Romania, Radu Motisan is creating a global network of pollution and climate monitoring tools which are deployed in multiple countries & are delivering data 24/7 to an online platform accessible by anyone with internet connectivity. Radu's tools puts data in decision-makers' hands and informs the public about quality of life issues. Each project & practice demonstrates that concrete actions can be implemented at local, regional, & international levels. Scaling up from local activities to international activities can be enabled by adoption of the Network by the UN agencies promoting the 2030 Agenda & by civil society, governments, & other interested parties committing to achieving the 2030 SDGs..
As goals are achieved at the local levels, media resources & agency communications departments can be utilized to share with the broader community the purpose & success of Network projects & practices. For example, The UN Web TV can host "infomercials" & local radio stations can host Network participants. This is especially important in locations lacking internet access. Carrying the message forward to the global community is a necessary action to ensure Network solutions spread. The Network itself will serve as an international hub for the sharing of ideas & reporting on activities that work in different regions around the world. Network members & affiliates can cause a global wave of solutions through their participation. Potential impacts of a massive, global tree planting project are immense. Trees & perennial plantings alter climate in significant ways. Increased carbon is fueling growth of trees & plants which creates a positive feedback loop. Greening of the Deserts projects are effective. "The rain forest transformed what would otherwise have been a desert into a lush environment, by releasing massive quantities of water vapor into the air. Yet 224,000 square miles of the rain forest...have been clear-cut since 1980. This unchecked deforestation...is one of the primary causes of São Paolo's drought." ~ Capitalism Exacerbates the Vulnerability of "Extreme Cities" to Climate Change. "National Forests in California sequester 620 million metric tons of carbon, over half of the State’s forest carbon." ~ What carbon sequestration benefits do the National Forests in California create? This proposal helps organizations, governments & humanity at large achieve 10 identified UN SDGs by populating practices, knowledge of social well-being & health, and technologies on a grand scale, simultaneously. Because this proposal recommends involving already existing organizations the costs are to be borne across a large number of funding sources. Philanthropists and foundations already supporting organizations that can implement this project are expected to "ear-mark" funds to support identified activities. Many organizations also engage volunteers in projects which keeps costs at a minimum. There is an assumption that the United Nations will support the winning proposal by absorbing some costs. At a minimum, to get the project off the ground, $20,000 USD would be required. At the most, $50,000 would be required. This "start-up" funding would be used for outreach, database management & managing a network portal to support activities & participants. A budget of $150,000 would support projects of ten organizations over a period of two years. Cade Pia's interest in conservation, community and sustainable travel, led him to earn a Bachelor’s Degree in Ecotourism. He is one of two founders of MESA Sostenible, a community supported food producing project in Nicaragua. Owner of Empower rural families to achieve a healthier future through hands-on education! Danilo da Rosa lives in Salto, Uruguay and is a software development professional, ecological advocate and practitioner and owner of Permaculture Design Software. Additional CoLab & external proposals to inform the Network. An enabling environment to implement this proposal includes several factors in order to achieve success. Policies: While this contest seeks to find a grassroots solution addressing multiple Sustainable Development Goals (SDGs), the United Nations (UN) must provide support through policies supporting proposed activities. The United Nations' Environment Program (UNEP) "supports member states in implementing the SDGs & reviewing progress through strengthening the science-policy interface, providing expert knowledge, capacity building & technical assistance, as well as leading on environmental advocacy." Policies supporting grassroots operations need to be in place to allow different organizations & affiliates to work freely. Direct access to UNEP's contact lists & support systems can be granted to grassroots organizations. The UN Security Council (UNSC) began discussing whether their scope of work ought include climate issues. I believe it should. For some communities, climate resiliency may well be an impossible goal due to industrial pollution & ongoing destruction of rainforests, the world's lungs. Governments can develop policies to support projects. For example, in the United States, some governments have laws directly impacting property owners ability to grow food; they ought to be able to grow food in their front yards & collect rainwater. In Mexico, a number of activists & journalists have lost their lives because of their social & environmental justice activities & for doing their job in reporting about injustice. People need to be able to work without threats. Financing: The UN has sufficient leverage & funding derived from member nations (tax payer supported) to support any winning proposal(s). As well as financial support from the UN, crowdfunding & philanthropic support can fund grassroots projects, either directly to organizations working towards meeting SDGs, or to the winning proposal owners whose work will support the work of organizations & affiliates. Acceptance & Alignment: The UNSC has developed their intention to include climate in their agenda & have proposed a "Responsibility to Prepare" initiative. All global stakeholders - governments, politicians, industrial managers, bankers, insurance companies, parents, students, workers, journalists, the World Bank, the International Monetary Fund, the Organization for Economic Cooperation & Development - everybody - must accept that the future will present serious challenges & that there are viable actions that can be taken to create climate resiliency & possibly even reverse some climate trends that are causing harm if we align causes. The health of people is seriously compromised due to current, global, economic values & practices. Acceptance & alignment are essential for any winning proposal to achieve any degree of success. With the UN's direct involvement, across multiple agencies, the identified SDGs can be fulfilled & climate resiliency advanced. 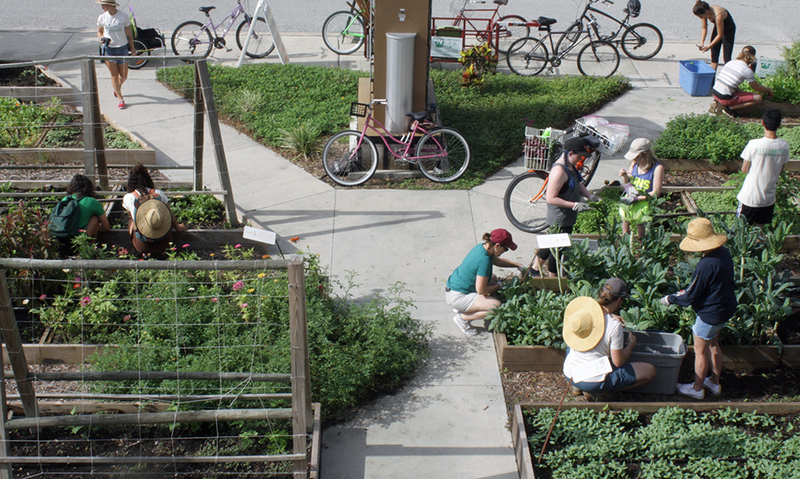 Pedal-powered Urban Farmers to Save the World: One lawn at a time!